I’ve been very inspired recently with middle-eastern cuisine. 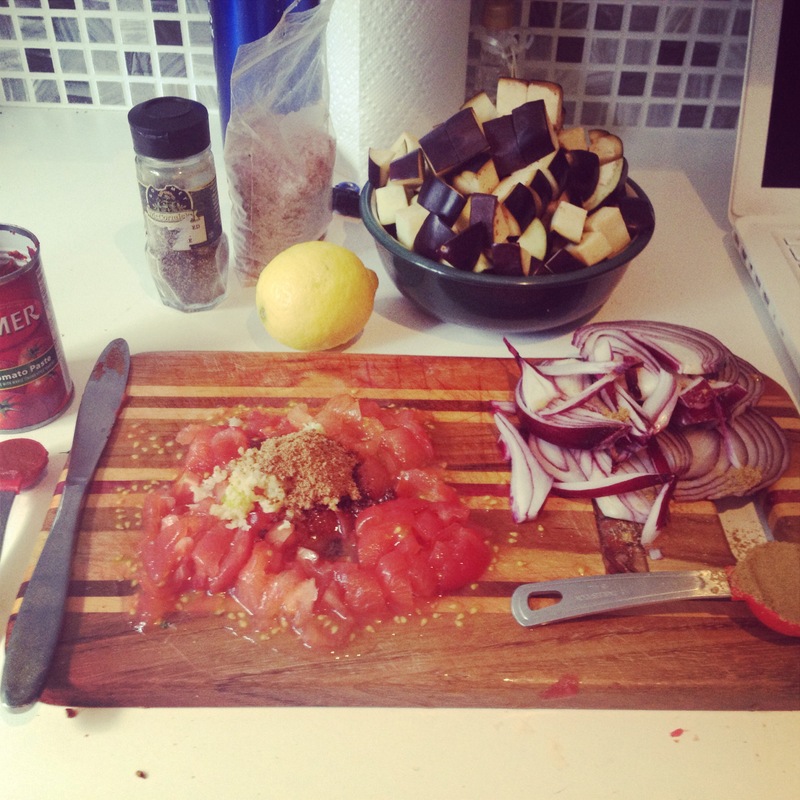 I want to expand my repertoire of foods that I use and experiment with ingredients I’ve never used before. I went to a local Persian store this weekend that is located a few blocks from where I used to live, and I used to go there all the time, but I used to head straight to the fresh veggie section and not explore the rest of the store. This weekend, I took a good look at the bulk section. Fresh medjool dates, tender prunes, dried apricots, and an assortment of nuts and seeds that I had not even heard of! I’m a fan of pretty much everything that I’ve eaten that’s been labelled middle eastern: hummus, falafel, tabouleh… basically the items that have become really mainstream in North America. But there is so. much. more. I borrowed the cook book Jerusalem from a friend and found so many delicious recipes to try! This cookbook isn’t vegan, but many of the recipes are plant based and don’t have dairy. I made a couple different dishes this weekend from this cookbook, and one of them I really enjoyed was the eggplant and morgrabieh soup. If you’re like me, I looked at the recipe, then actually googled “morgrabieh” because I didn’t know if it was a spice, fruit, grain… no idea! Turns out it’s similar to couscous (dough) but the size of the individual morsels are a bit larger, often giving it the alternative name of giant couscous (how’s that for descriptive haha). What did we do before the internet?! This dish isn’t complicated, but I love that it’s outside the box of my normal recipe scroll. Here’s my picture blog of what it turned out like! 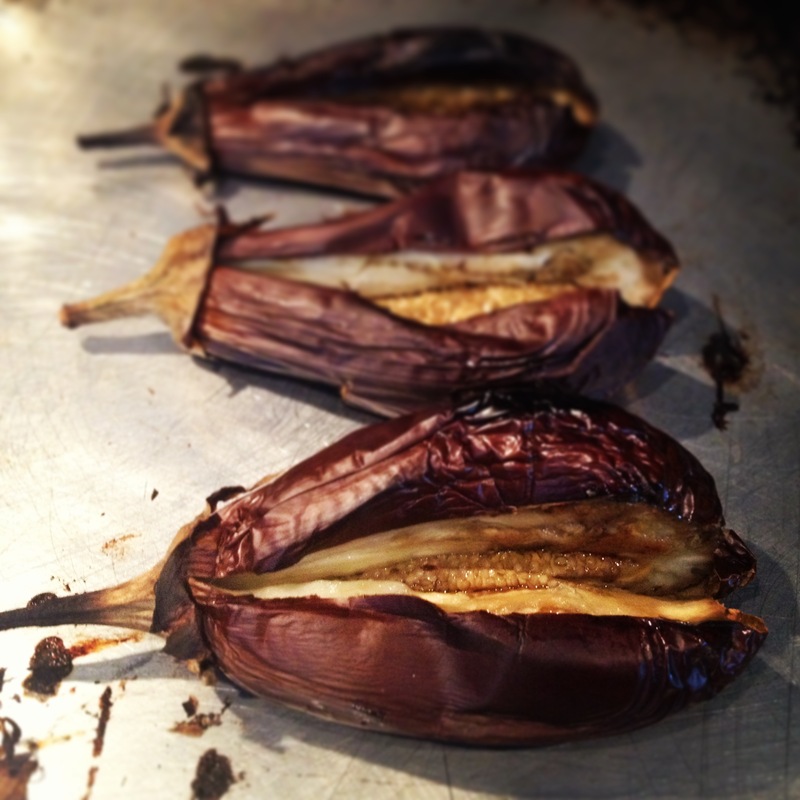 Charred eggplant after approximately 1 hour in the oven. I turned them about three times so they cooked evenly. I scooped out the insides and put in in the blender (but didn’t blend yet). 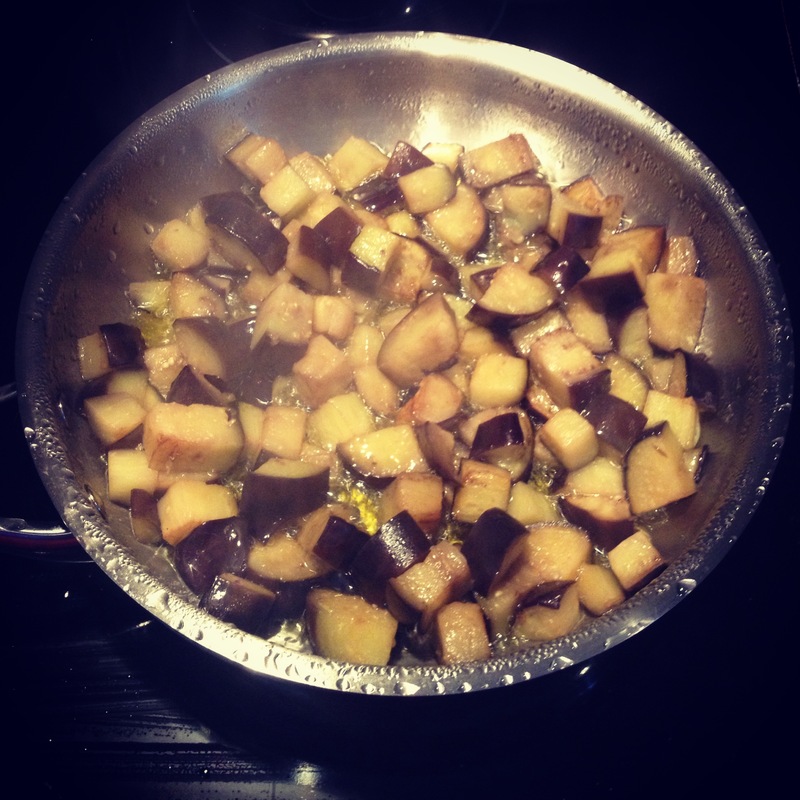 Saute the diced eggplant in the oil until browned, then set aside. Saute the onions and cumin for approximately 8 minutes. 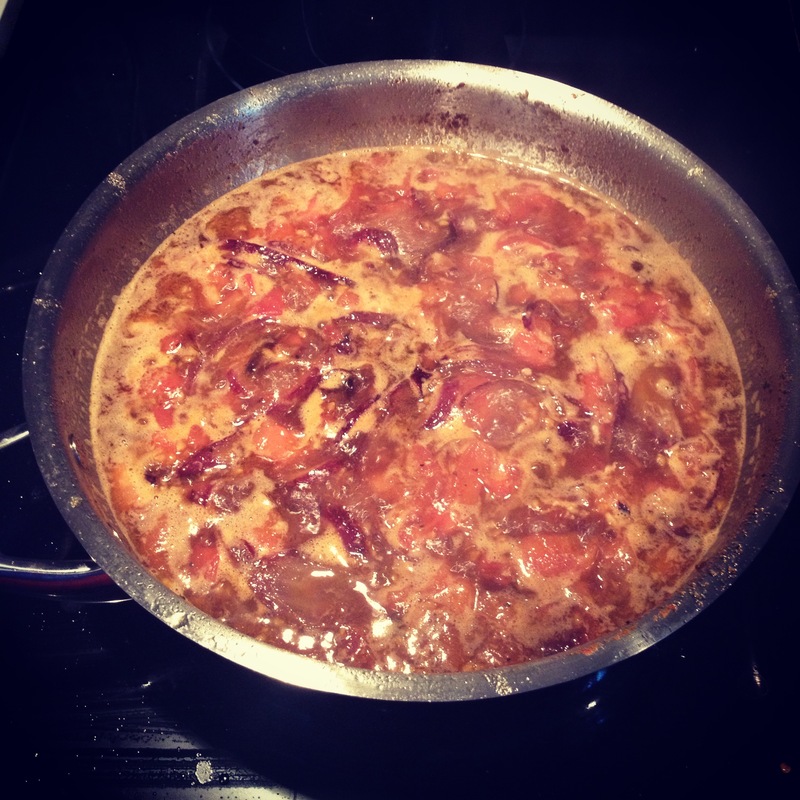 Add the tomato paste, saute for about a minute, then add the rest of the ingredients: water, tomatoes, garlic, sugar, lemon juice, s&p, then let it simmer. Once it’s simmered for about 20 minutes, I added this to the blender (with the charred eggplant) and blended until smooth and put it back on the pan. Meanwhile, I washed the morgrabieh. 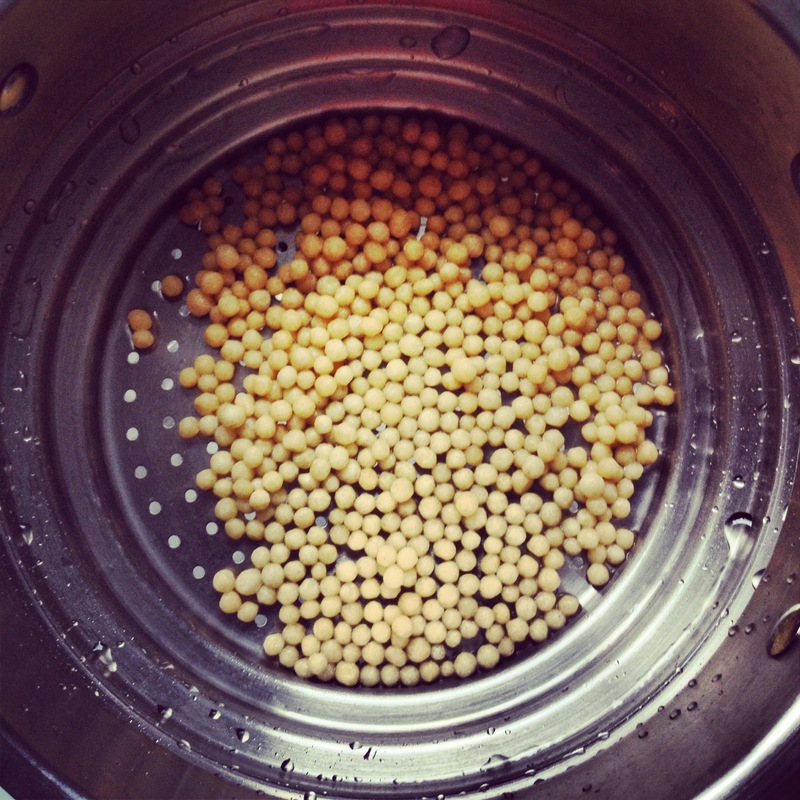 It does look like couscous, doesn’t it? From here, I added it to a pot of boiling water, for 15 min, then threw it back in the colander under cold water to stop the cooking process. Add it to the soup mixture on the stove, along with the cooked diced eggplant from earlier, and simmer for a few more minutes. Then… serve! The final product!